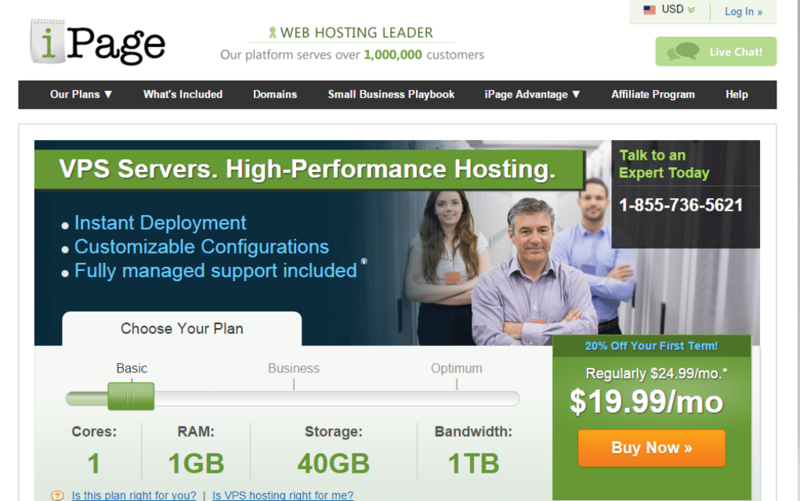 iPage offers three VPS Plan depending on how many server cores, Ram and Space you need, iPage VPS hosting basic plan includes 1 CPU cores and 1GB Ram, 40GB storage and 1TB bandwidth cost $19.99/mo for initial month. then $24.99/Mo, the higher plan include more server speed and storage. 4 CPU cores, 8GB RAM, 4TB Bandwidth and 120GB Storage cost $99.99.